We specialize in bringing "the party of the century"! 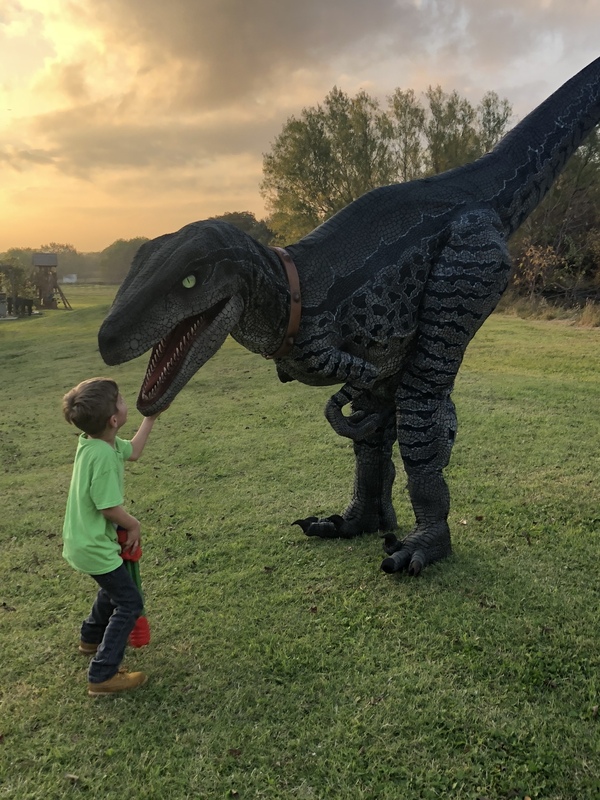 Between a real life Owen character and our car sized, mechanical dinosaur that your children will experience the closest thing possible to a dinosaur encounter. Planning a memorable birthday party for your kids can be a tough job but not an impossible one. Thats where we come in! An overwhelming sense of fear, shock and joy run through your veins as you see our Velociraptor approaching you at approximately 6’ tall & 14’ long. 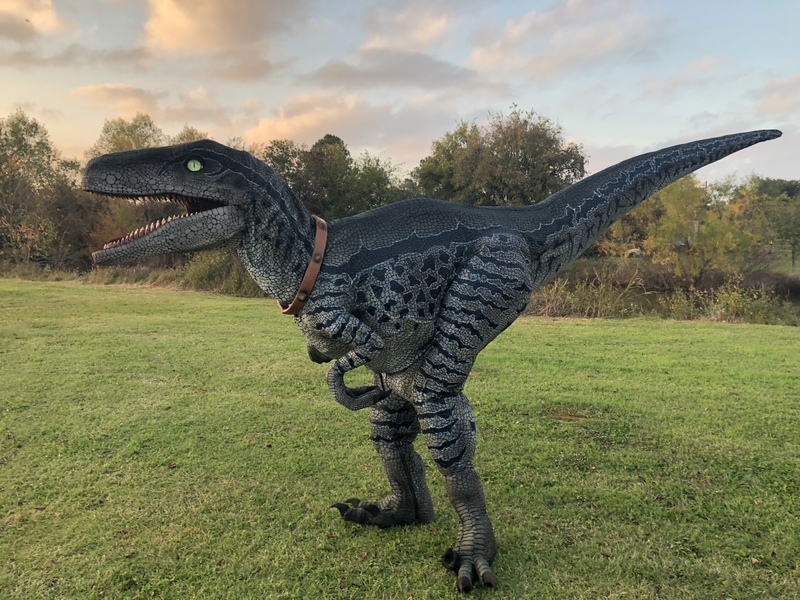 ​We coordinate it in a way there is a surprise dinosaur waiting for the kids at their parties or if you'd like we can come in with a bang surprising your guests as they least expect it. Despite their ferocious looks and intimidating roars, our dinosaur has super likable personalities, and they are great with people of all ages! For the 2-4 year olds they can act like a gentle puppy, or for the older ones they can behave like a wild dinosaur.